Rubber Hose and Pan Cord Combo For Doepke, Model Toys, Jaeger Cement Mixer. 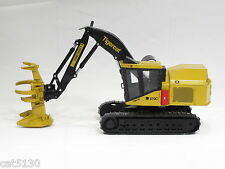 This is a Universal Hobbies 8083 1:50 Scale Komatsu PW148-10 Wheeled Excavator with Standard and Ditching Bucket. Manufacturer: Universal Hobbies. Model Number: 8083. MSRP: 75.00. Category 1: 1:64 Scale. Category 2: Construction. Availability: Ships in 3 to 5 Business Days. Tigercat 635D Skidder. Material: Diecast. Height: 4". Length: 13 1/2". Each vehicle is in dusty, basically un-touched, as-found condition. All have decent original paint, decals, and are in overall good, played with condition. here's what's included K-17 Ford Tractor, Made in England by Lesney, "Matchbox" King Size Pat. Rare in this condition! Don't miss this one! Good luck! Potain MDT178 Tower Crane Climbing Cage - "Red" Version. Made By : TWH Collectibles. Climbing Cage Only. Limited Edition, Only. Load block adaptor. Hydraulic cylinders. Accurate connection points. Detailed hand railings. CAT 5130 HYDRAULIC FRONT SHOVEL NZG 1:50. The Cat is in like new condition, No Marks, No Dings. Made in Germany. HP3 broom head. Made By : TWH Collectibles. Rotating broom head. 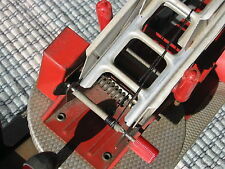 Lifting points on each side of broom housing. Year Produced: 2007. Limit box with rubber cover. Height: 2 7/8" (73mm). Width: 5" (127mm). Bauer BG40 Drill Rig. Made By : Brami. 1 x Mercedes Truck with 3 axle low boy and 1 x Siku "MENCK" M500H Excavator Scale: 1/50 Material: Diecast I will ship to US, and pack carefully to avoid damage. No returns accepted, but covered under eBay Guarantee. Payment by PayPal within 3 days of acceptance. I believe this is one of the more difficult Tonka toys to find. The paint itself is pretty bright, but it's been well played with. Wheels are unbroken. The label is easily readable. This trailer is in better condition than many I've seen, but you be the judge. Potain MDT178 Tower Crane - "Yellow" Version. Made By : TWH Collectibles. Counter jib sail. Photoetch catwalks and mast platform. Two part load block. Functions & Features Replicated concrete base. Bucyrus Rail Steam Shovel. Made By : TWH. Hinged coal door and platform. Removable hitch engineered to look and function like original. Left and right boom swing. Functional trucks and truck suspension. Open for inspection and put back in box. These trucks are beautiful reproductions and need to be in your collection. Very detailed and even includes the little extras with it. Limited production run and very rare to find especially in NEW condition. Made By : WSI. Peterbilt 379 Tractor - "All Crane" Version. Scale :1/50. Year Produced: 2015. Height: 2 7/8". Length: 6 1/2". 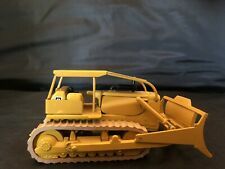 Champion 740A VHP Series V Motor Grader First Edition 1997, 1/32 scale. This one is hard to find. But really displays nicely. 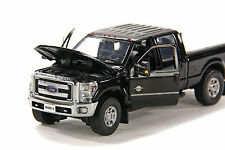 Ford F250 Pickup Truck - Crew Cab - 6 Ft Bed - "ALL Crane" Version. Made By : Sword Precision Scale Models. Pintle Hitch. Opening Doors. Opening Hood. Material: Diecast. Year Produced: 2017. 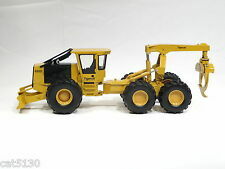 LeTourneau L1850 Wheel Loader - "Yellow" Version w/ 33yd Bucket. Made By : TWH Collectibles. Full range of motion of bucket and hoist. Realistic bucket. Safety and hand railings. Length: 14" (356mm). Fire suppression system. First Gear 40-0131 International 175 Forestry Division Track Loader 1:25 "New"
Model is new and very heavy. Very detailed and sharp looking and has a low price. I also have the 40-0127 yellow version listed as well. 1/25 Forestry Division International 175 Crawler with 4-in-1 Bucket - First Gear. Oshkosh Hemtt M985 A2 Military Cargo Truck. Made By : TWH. Oshkosh logo above grill. Functional load block. Cab doors open 90 degrees. Outriggers with replicated outrigger pads at rear corners of vehicle. Original slush cast metal desk promotional model, difficult to find, see last picture for size. We sell a wide variety of vintage and antique toys including toys from the 1930's, 1940's, 1950's, 1960's, 1970's and 1980's. We have one of the largest antique toy stores on eBay so please be sure to check out our store to find that must have item that you have been missing from your collection. We are constantly purchasing new items from collections, estate sales, auctions, flea markets, etc. so be sure to check back often if you do not see the item you are looking for. Please feel free to contact us with any questions that you may have. We strive to ship quickly and securely. Combined shipping is always available. Check my other auctions for other items to add to your order. Shipping Worldwide. HARD TO FIND MODEL. Mint without box. Model features removable operators canopy. Vivid paint and heavy construction. Made by Diapet Yonezawa toys. 1970s model. Don't miss out on this rare model. Mack S46SX Schwing Concrete Pump. Height: 3 1/4". Width: 2 1/4". Length: 9". Peterbilt 357 Truck w/ Elliott Fuel & Lube Body - "Walsh" Version. Made By : Sword Precision Scale Models. Replicated lube and fuel holding tanks. Folding access step. Replicated compressor. Rotating wheels. Tigercat 724G Wheel Feller Buncher. Material: Diecast. Clean, very good condition model. 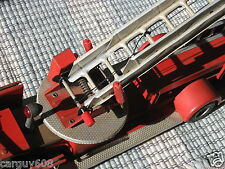 1/43 Richier Pneumatic Tire Compactor by Norev. Very hard to find plastic model. Beautiful model, plastic shows no signs of cracks or wear. Haven't seen many for sale. The blade is 10". This grader needs a good cleaning, it is all original! NYLINT HYDRAULIC DUMPER PRESSED STEEL. 1/16. MINTY! NYLINT HYDRAULIC DUMPER PRESSED STEEL. A FEW MINOR SURFACE MARKS. K-Tec 1233 ADT Pull Scraper w/ Volvo A40F Truck. Made By : Motorart. Scale : 1/50. 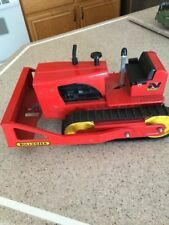 New in box IH International Harvester Model TD-24 Diesel Crawler "The Agile Giant". Made by SpecCast, 1/25th scale. Nice Detailed Crawler! Vintage Tonka Forklift 1970s Orange - Large - Pressed Steel. Condition is Used. Excellent Condition. 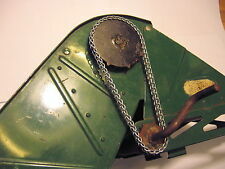 The shovel will also need restrung, but it appears that all the pulleys and runners are included. Minimal wear can be seen on the cab, but the majority of the original paint is retained. Both the cranks seem to turn easily too. Made By : Towsleys. Manitowoc 16000 Crawler Crane - Long Boom Version - 71" Tall. Key operated boom hoist drum, whip hoist drum and load line drum. Fully functional boom. Timbergurds on boom. Height: 71" (1803mm). Volvo LM841 Wheel Loader. Made By : NZG. Length: 5". Made By : Goodswave. Height: 5" (127mm). Width: 2 5/8" (68mm). Length: 9" (229mm). 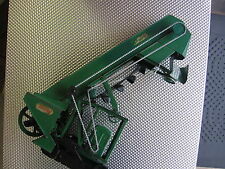 Structo Steam Shovel Pressed Steel Vintage Green Crane Construction Toy. NYLINT 1950s Uranium Hauler - Pressed Steel USA 2700 - WORKS!